Ecocars : Hybrid, electric or ecoventional ? 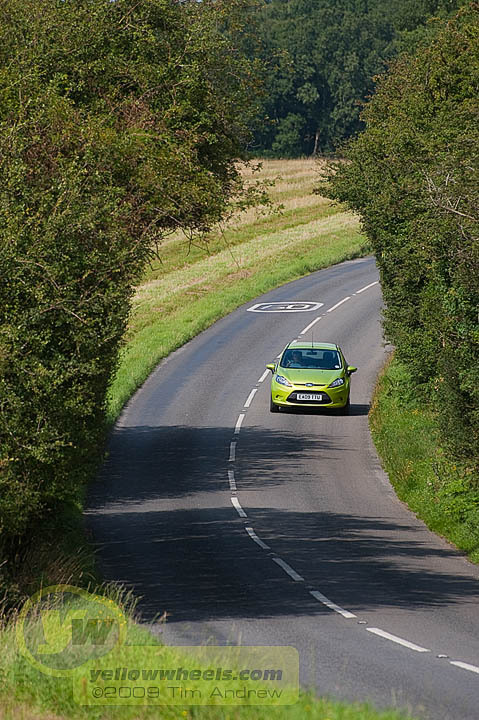 Richard Bremner discusses the merits of Fords Econetic Fiesta versus other forms of ecocars. Are you better off with a really efficient conventional engine, a hybrid or a pure electric car? Yellowwheels is a broad church. To feature here, a vehicle doesn’t have to have supercar, hot hatch or racing credentials (nor always be yellow!) but has to excite, intrigue or fascinate . The current wealth of new eco cars from startup, as well as traditional manufacturers is fascinating, but with all the hype, are they really what you or I will buy? We invited internationally renowned motoring journalist Richard Bremner to give his views. 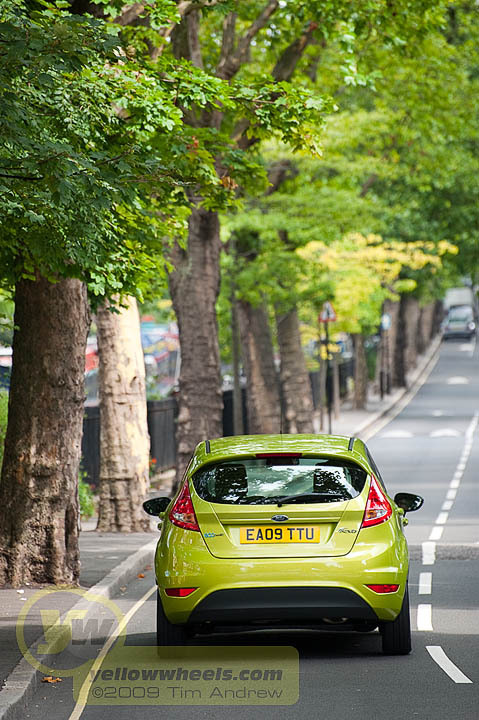 He is co-founder/owner of CleanGreenCars.co.uk and is running a special eco version of Ford’s highly regarded Fiesta, the ECOnetic, as a long term test. Are cars such as this Ford really helping reduce CO2 ? “Buying greener wheels needn’t mean buying an expensive hybrid if you want an ultra-low CO2 car – in fact, there are several small diesel hatchbacks that admit less CO2 than the admittedly bigger Honda Insight hybrid. Among them is Ford’s Fiesta Econetic, one of an array of eco-hatches offered by a variety of manufacturers that have been specially modified to issue less carbon dioxide. In the Ford’s case, the modifications include a lower ride height to smooth the car’s passage through the air, a tailgate spoiler achieving the same end, low rolling resistance tyres and altered gear ratios designed to squeeze more miles from its 90bhp 1.6 turbodiesel motor, if at some expense of acceleration. The Fiesta Econetic also provides a gearshift change-up light to aid your fuel-saving, and a trip computer to reveal how well you’re doing. Which in the case of this long-term test car is pretty well, if not as well as Ford’s 76.3mpg combined fuel consumption claim suggests. A typical figure would be around 58mpg while paying reasonable attention to the change up light and maintaining a brisk pace, but a concerted effort to save fuel has seen an impressive 71mpg appear in the readout. Drive gently, and a regular 60mpg-plus is entirely possible. Is it worth paying extra for the ECOnetic version of this Fiesta ? Any disadvantages to running this eco version of a conventional engined car ? Great article, it’s going to be interesting to see how all the different hybrid technologies pan out in the future. Hehe, yellow is a USP here, but by no means essential to feature! Re Ecocars: We’re at strange point where the various types are fighting it out in the eco arena. Long term I expect all electric to win, but there are some interesting ideas out there. For instance http://www.itm-power.com have a complete cycle based on generating your own hydrogen and powering modified conventional engines. Fuel cell cars sound like a neat solution waiting for an infrastructure. Critical mass has really only been achieved by the hybrids (Toyota have sold 2 million to date!) but they are surely only an intermediary step towards the goal of low emission useable ecocars. great about the carbon emissions, but what about the particulate pollution? I understood that diesel, like cooking-fat cars, are NOT really green, they just come up good on CO2? Diesels are good on CO2 but very poor on air quality (NOx and PM). While CO2 is a global issue; air quality is what directly impacts human health locally, so arguably it should be the basis for congestion charge exemptions in cities like London, etc, not CO2. In rough numbers, new Prius emits 96% less NOx than EURO 4 levels demand with virtually no particulate emissions. In this respect petrol hybrid is much better than diesel, even if the diesels get close on CO2. The whole sibject of life after oil is a fascinating one.